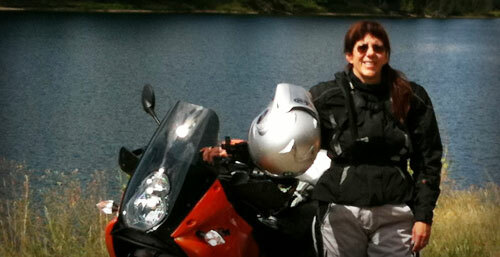 Kurt & Martha Forgét started Black Dog Cycle Works over five years ago to feed their love of Adventure Riding. This deep seeded passion is what drives them to design and produce unparalleled products, offering the toughest skid plates in the market. Their commitment to manufacture their products in the U.S.A. not only supports the local economy, but many periphery industries as well. This is something that is very important to Kurt and Martha and something they are not willing to sacrifice to increase their profit margins. 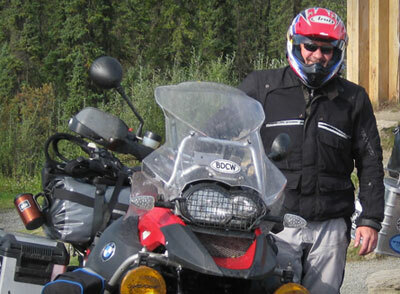 Enjoying adventure riding for more than 12 years, Kurt and Martha have developed the product knowledge and design approach to know what works, what will last, what will protect your bike and what will help get you home. Kurt has worked tirelessly to punish his various adventure bikes over the years, often taking them places they were never designed to go. 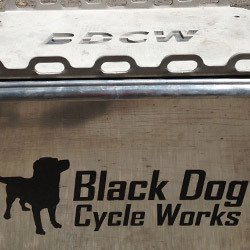 He has broken more than his share of parts in his quest to find the best equipment, which is what they offer at Black Dog Cycle Works. 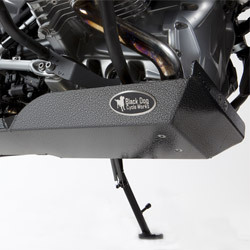 While producing rugged skid plates in their core competency, they also offer a full line of top quality accessories including lighting, performance, luggage, maintenance, recovery and travel products, all of which has been personally tested by Kurt & Martha. Based in beautiful Sandpoint, Idaho, a recreation destination of the Pacific Northwest, they have plenty of opportunities to test their equipment as well as new equipment they are considering carrying. 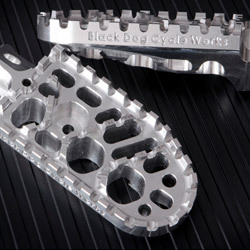 Having ridden dual sport / adventure rides in California, Nevada, Oregon, Idaho, Washington, Baja, Canada and Alaska they have the experience to provide their clients with custom advice for the right gear to set up their bikes to meet their individual needs. 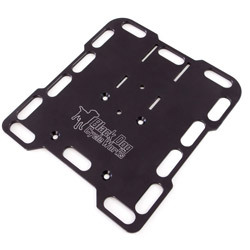 Black Dog Cycle Works is proud to offer the toughest skid plates in the business as well as many other quality, tested parts manufactured in the U.S.A. We also carry other quality brands that we consider to be the best in the business. We test and use what we sell, and our product knowledge, experience and excellent customer service has proven that we are a reliable resource for our loyal customers. 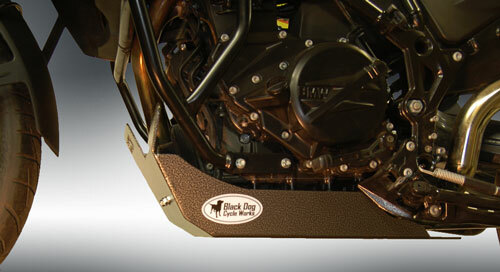 Adventure riding has been our passion for over 12 years and we are not shy about spreading our affliction.